Okay, this is just cool. The Lily Impeller is a small device that is six inches high and capable of mixing a 20 million gallon reservoir using very little energy. In nature, whirlpools can move huge amounts of water very efficiently. Every little kid is fascinated by the spiraling water going down the drain. 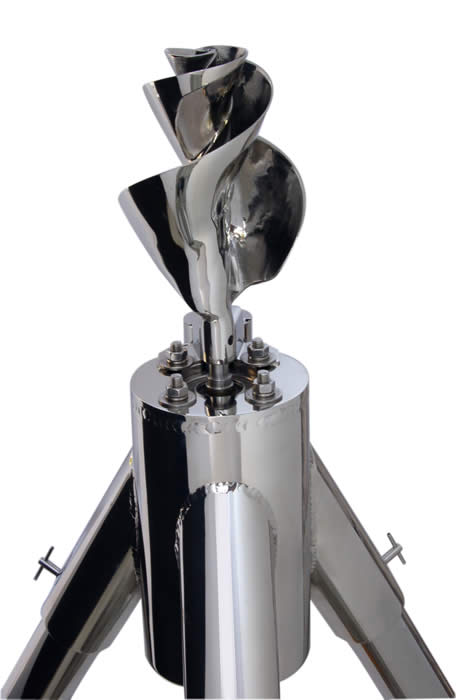 The inventor of this impeller, Jay Harmon, was inspired by the spiral in lilies (for which the impeller is named), shellfish and other natural structures. A second company that recently attracted my attention is Bespoke, a prosthetic company based near San Francisco. The idea they had was to change people’s perception of prosthetic limbs from something you hide to a beautiful physical asset. Make them cool – so people will want to show them off and not hide their limbs. There are a set of case studies on the company website: Great stories about turning the traditional view of a device on its side and driving innovation by focusing on the human experience of the product. The engineered device creates a better experience not by closely mimicking the human limb and becoming creepy but by allowing the prosthesis to make a new and better experience. One of the people I talked to said that their prosthesis was their “cool leg” compared to their natural limb. One of the aspects of OST that I appreciate is that we are diverse set of technologists working with a wide variety of customers in a dissimilar set of industries. That enables us to approach problems that our customers face with innovation, which brings huge value to them and great opportunity to OST.